Each year, Chef Steven Robilio hosts a monthly dinner series featuring fresh, seasonal ingredients from our local farmers, packaged into a five-course meal with drink pairings. The dinners are held at our Cool Springs and Nashville locations from April – October. 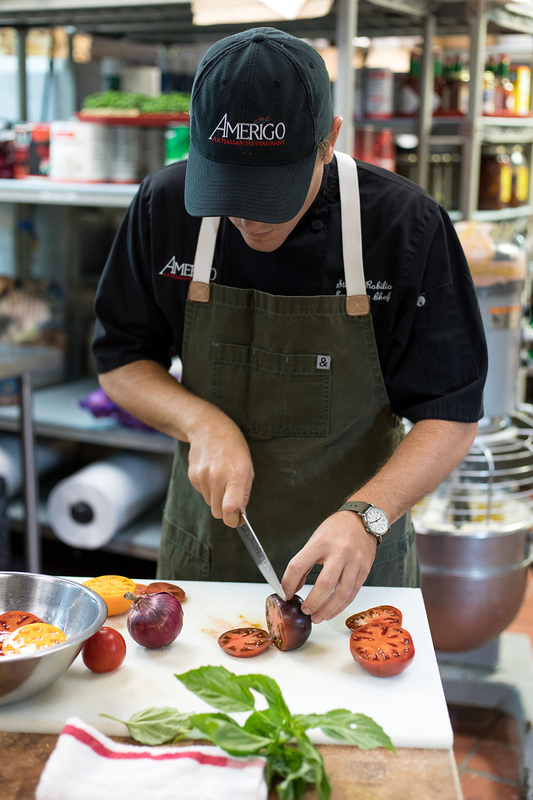 Through our partnership with local farmers and growers, Chef Steven has cultivated relationships with the area’s best farmers over the past five years. “We have so many great relationships with our farmers and other business owners in the area. It’s really been mutually beneficial: we want to promote their businesses just as much as they want to talk about us,” he explains. 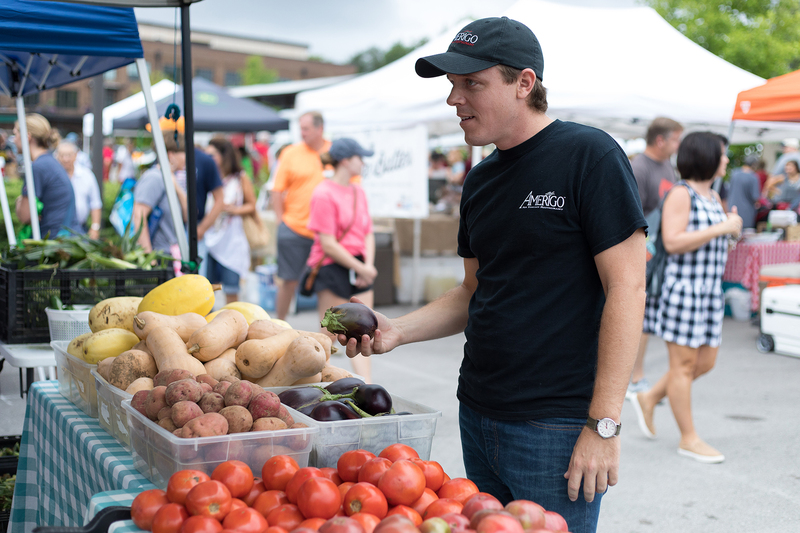 Every month, Steven visits the Franklin Farmers Market to source the freshest veggies, fruits, meats and cheeses for our flagship Farm Dinner Series. 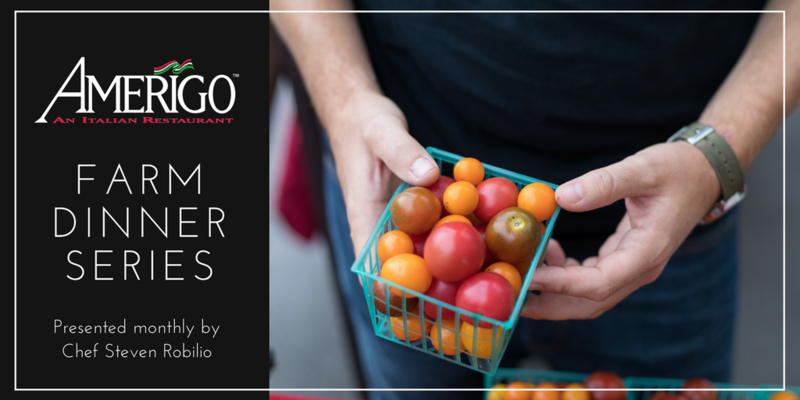 He creates a unique menu highlighting the flavors of the season to showcase the farms’ current selections, which are available to purchase at the weekly Market on Saturdays. We frequently source produce from Delvin Farms, Bloomsbury Farm and Coffey Family Farms, as well as meats from Bear Creek Farms and cheese from Noble Springs Dairy, in addition to other farms throughout the year. The ingredients are incorporated into a five-course menu, then paired with wine, cocktail or beer for a complete dining experience. Guests are seated in our private dining rooms at large banquet tables for a family-style seating arrangement. Our goal is to encourage conversations with your tablemates as Steven guides diners through the experience. Course by course, guests are presented with a detailed description of the ingredients and inspiration behind each dish, followed by the accompanying drink pairing from our Beverage Manager. Dinners typically include a light starter, a soup (either chilled or heated, depending on the season), a pasta or risotto dish and a hearty meat or seafood course, ending with a dessert and aperitif. Our Chef Dinners are always a great night out with that special someone, or as a night of fine food and fun with a group of your closest friends. No matter what, come prepared to make new friends that are just as passionate about food as you are.